Posted in General and tagged British Council, British Council India, Chrsi Tribble, DFID, ELT, English language teaching, Managing Change, Open University, Rukmini Banerjee on May 21, 2012 by dcfrombc. 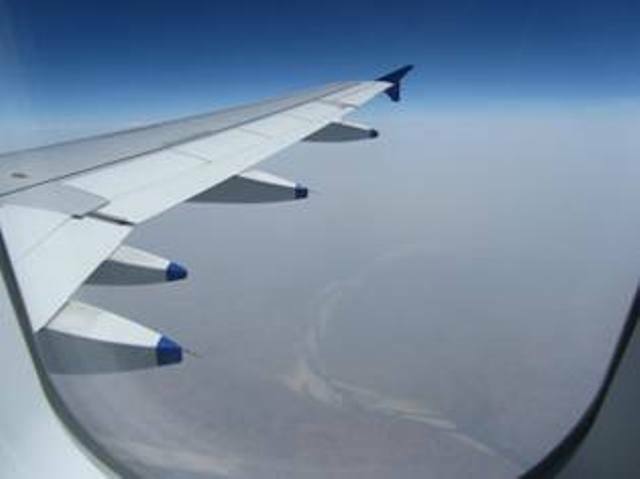 I write this on the morning flight from Calcutta to Delhi, on my way to the national launch of our global research publication on English language, Managing Change in English Language Teaching: Lessons from Experience, edited by Dr Chris Tribble. Am lucky to have a window seat. 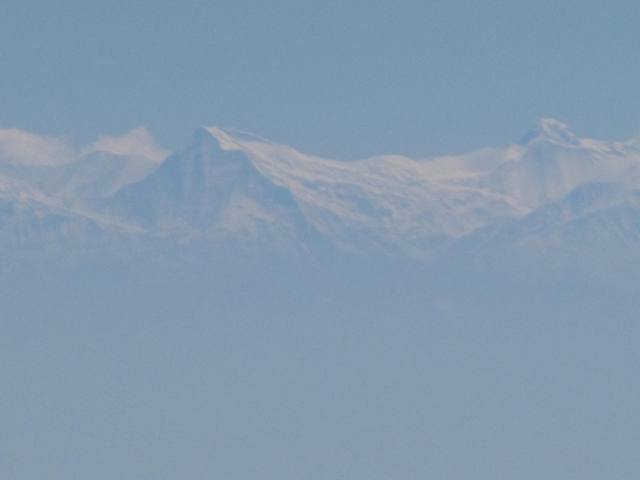 On a clear summer day like this the vast Gangetic plain lies spread out like pages on an open atlas. 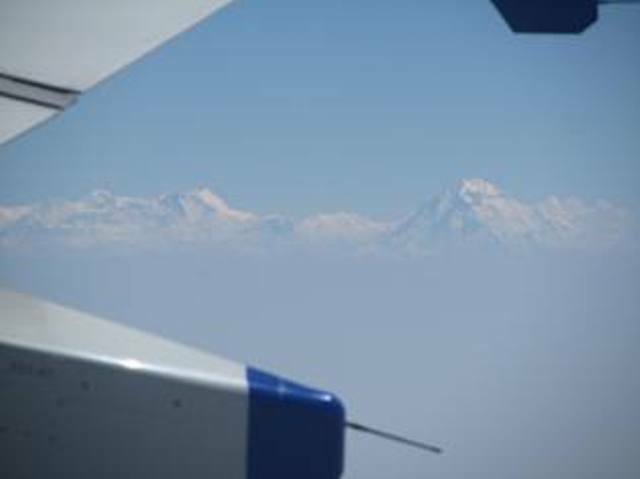 The snow-capped Himalayan peaks, Mt Everest among them, masquerade as clouds that fringe the far horizon. I fly over West Bengal, Bihar and Uttar Pradesh on my way to Delhi, I cannot help but think that what lies beneath is one of the most densely populated human habitations not only in India but perhaps the whole world. And that the British Council has substantial English language projects in two of these three states – in Bihar and in West Bengal. Over the next few days, as this itinerant launch programme travels from Delhi to Chennai to Patna and culminates in Chandigarh, we will be taking a hard look at critical questions on education change and demonstrating the value of project interventions to all manner of stakeholders. At each stop, the panel will feature Dr Tribble and joined by several leading policy makers, ministers of education, academics, consultants, NGOs, funding agencies. There will be lessons for all of us in these discussions and I suspect that at each stop there will be more issues added to the agenda. The book itself comes at a time of great change and even greater expectations in the public provision of education in India, against the backdrop of intense debates on the implications of Right to Education Act and an increasing attrition of pupils from free government schools to fee-paying private schools, almost all of them flaunting an ‘English medium’ badge. The compilation looks at the larger issues of education change and management through the prism of language teaching and many of the conclusions drawn have far wider practical application than just English language teaching. A hard copy version of the book will be made available to all those who attend the event. Dr Christopher Tribble is a lecturer in Applied Linguistics at King’s College London. He has worked as a classroom language teacher in the public and private sectors in France, China and the UK, and has extensive experience as a manager and evaluator of English language projects, and as a project management trainer. a photographic and documentation of the work of community groups associated with the new King’s Place Arts venue in London’s King’s Cross. Chris Tribble is also a documentary photographer and provides a comprehensive photographic documentary service for organisations involved in education, social development and performing arts. Posted in English for Progress Policy Dialogue, General, Young Creative Entrepreneur on September 16, 2011 by dcfrombc. The conference kicked off with a stimulating panel on “Where Are Digital Books Headed?”, chaired by Jaya Bhattacharji Rose and Radhika Menon (Tulika Books), Pratibha Sastry (JiniBooks and JiniLabs), James Birdle (Bookkake, London Lit Plus) and Kailash Balani (Aditya Books, Balani Infotech). Radhika Menon shared a fascinating presentation on how Tulika has colloborated with several partners to create content and provide techn0logy solutions to bring books closer to children in a socially meaningful way. “Just clickability is not enough”, she said. Was really taken by the multilingual dimension of Tulika’s work. Pratibha spoke about her own varied experience in the entertainment industry and mentioned the runaway success of Amanda Hopkins in retailing her own e-books. Kailash Balani mentioned MHRD’s plan to provide e-books to over 20,000 colleges in India, while James Bridle compared the UK and US e-book markets through the contrasting rise to fortune of Amazon’s Kindle in the UK and Barnes and Noble’s Nook in the US. Was really struck by James’ passion for the idea of the book and the parallel he drew between the identity and wonership issues about e-books and real books. Posted in English for Progress Policy Dialogue, Young Creative Entrepreneur on September 16, 2011 by dcfrombc. You have got to give it to Goa. This is my first trip to this slender slice of heaven-on-earth in the monsoons. With Goa, one expects a lot of green and blue all the year round. But it really is difficult to imagine how incredibly lush and green Goa is during the rains. I am here to attend the PublishingNext conference organised by Leonard Fernandes of Cinnamon Teal, the winner of British Council’s IYCE award for publishing last year. The genial Leonard and his team were there to meet and greet every delegate and speaker at Dabolim airport as we arrived in dribs and drabs yesterday. As some of us made our way to our hotel in Goa’s capital city, Panjim, we watched in awe the various vibrant shades of green loom in and zoom past our speeding bus on either sides of the grey road. And the sea sparkled and shimmered not too far away. My colleague Rwituja and I ambled around our hotel in the evening. There is an inexplicable mix of the old and the new in the capital, best reflected perhaps in its architecture – elegant old colonial buildings crumbling away, gradually being replaced by a style that can only be described as hideous modernism. Am here to learn more about what the future holds for publishing in the brave old digital world. I am particularly keen to explore what avenues British Council might explore with our English Interface work that looks at (among other things) commissioning and disseminating action research on ELT from across the globe. Where are Digital Books headed? The programme for the day looks exciting. More anon. PS: And it’s good to be in Goa in any season for one other reason. A bottle of Tuborg beer costs Rs 25, a bottle of water Rs 20. 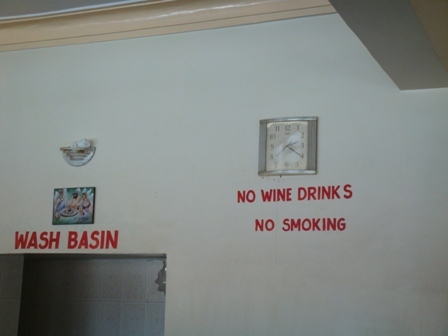 What do you suppose I am having to slake my thirst? Posted in English for Progress Policy Dialogue on November 19, 2009 by dcfrombc. There is a difference between being ‘proficient’ in English and being ‘effective’ in English. In India we need to encourage more of the latter. Have deliberately not attributed these quotes because my memory is a fragile thing! For the inaugural programme of the Policy Dialogue at the British Council office in New Delhi, we had set up a lounging space for the speakers to meet and chat before they went on stage. This was the VC suite in our library. When Nandan Nilekani arrived last evening he was welcomed by Ruth Gee and Chris Gibson. As we were ushering him through our lively library, there was a minor stampede among our young members rushing to Nandan, asking for his autograph and requesting him to pose with them for a snapshot on their mobile cameras. Nandan obliged one and all. It brought home the point what an iconic figure Nandan is for millions of young Indians across the length and breadth of the country. 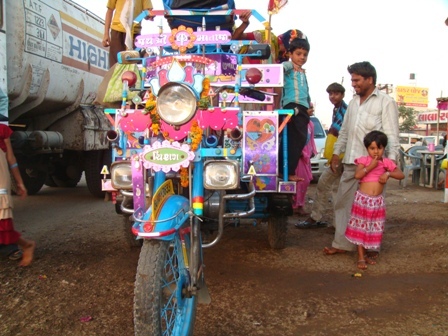 So it’s not just the cricket and Bollywood film stars that capture young India’s imagination. Inside the lounge, Martin Davidson, our Chief Executive, met Nandan and said how grateful he was to him for giving British Council his time. What Nandan said to Martin deserves to be framed in gold and put up somewhere. He said, ”I am here to pay back my debt to the British Council. As a child, I was very privileged to be a member of the British Council library in Bangalore.” Cannot think of a better compliment than that on the occasion of our 75th anniversary!! It also got me thinking about the chance meeting that some of our young library members had with Nandan. Some of them will probably go onto become similar successes and icons in their own right, in their own time. Will they then remember this fortuitous encounter? If they do, I think British Council will have justified the raison de etre of our existence several times over. Cultural relations, perhaps, at the end of the day, boils down to encounters such as these. One can only create a space and context where such chance meetings can take place and destinies altered. At 6.30 pm IST, English for Progress: Third Policy Dialogue was inaugurated by Nandan Nilekani, Chair of the Unique Idenitiy Authority of India and one of the pioneers of the IT revolution in India. David Graddol presented the findings of his report English Next India. Ruth Gee, Regional Director of the British Council in India and Sri Lanka and Martin Davidson, Chief Executive of the British Council, spoke of the importance of the Council work in the area of English language and highlighted the work of Project English in India and Sri Lanka. In his inaugural address Nandan Nilekani said that English played a key role not only in the field of commerce and industry but was also a key factor in cementing the diversity of India. English, he stressed was the language of opportunity and the challenge in front of the government and education agencies of all hues was to make the language more accessible and break down the class barriers surrounding the language in India at the moment. David Graddol’s fascinating presentation raised a number of critical questions about issues we sometimes take for granted about English in the region. One such riddle was around the direct link between English and jobs in India. David took a fresh look at the easy corelation by pointing out that the link was only true of the organised services sector of the labour market, whihc was a very small fraction of the total job market. So if by a miracle, a majority of Indians had good English skills overnight, there simply wouldn’t be enough jobs to go around. David stressed on the growing importance of English language competence as a skill at par with numeracy and ICT in the international education scene rather than a language with a baggage. One of his most striking findings were how China is fast catching up or might even have surpassed India as far as the total number of English speakers were concerned. Part of the reason was the large scale project China embraced in 2001 to make English compulsory at the primary school level. But teacher proficiency, David said, was the key to achieving quality in English language education everywhere. All in all, a very exciting launch of the Third Policy Dialogue. 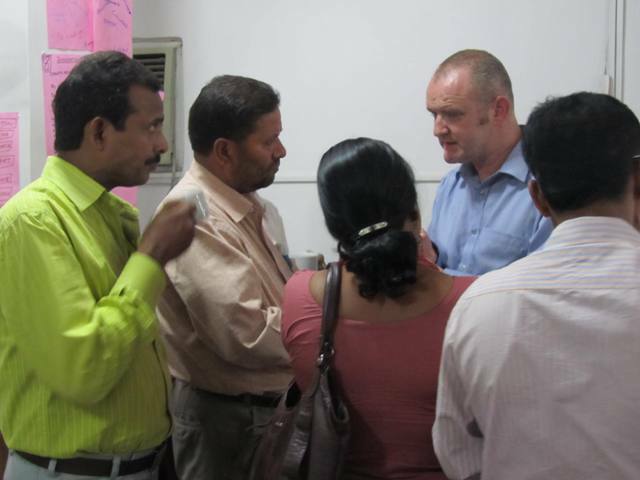 Speaking to other speakers and delgates from India and Sri Lanka, one can sense a lot of urgency among the various key education agencies to provide good English language skills. Posted in International Social Justice Network and tagged British Council India, IIM, Justice, Munsiwada, PETA, Ramaji Vaid, Ruth Gee, Sahyog Trust, Social on October 31, 2009 by dcfrombc. This post must begin with an apology since this was meant to be posted yesterday. We couldn’t. Because we were dog tired, sorry, dead tired (lest we offend animal lovers and PETA activisits for invoking the name of dog in vain) – after scouring Gujarat’s countryside on our field trips. I accompanied Fred Guanais and Roberta Kacowicz from Brazil, Kevin Bacon from UK and Ruth Gee, our regional director in India and Sri Lanka to visit Rajendranagar and Munsiwada on field trip themed on access to healthcare. 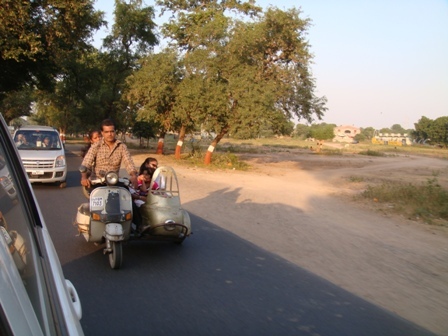 We were accompanied by Mahesh bhai from SRISTI and Priti Vashnavi from IIMA. 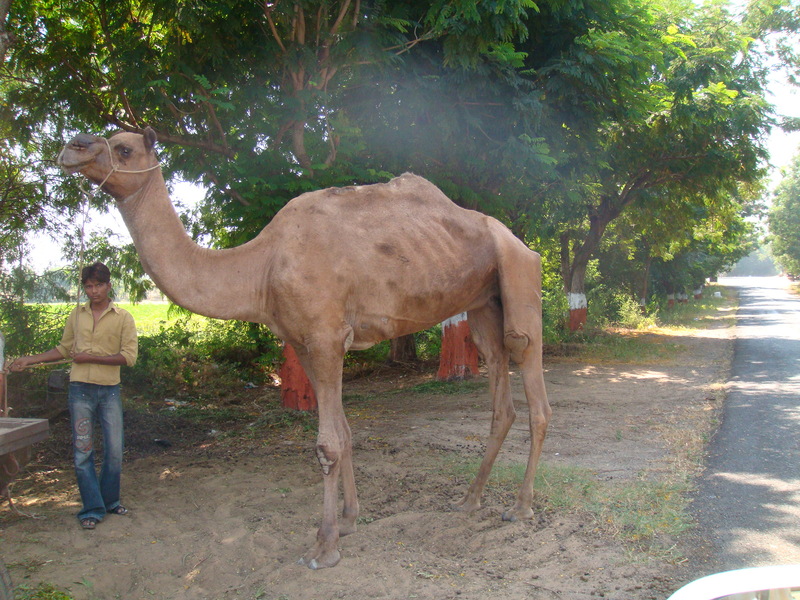 Sahayog Trust in Rajendranagar is at the forefront of leprosy patient rehabilitation in India, led by Suresh Soni. 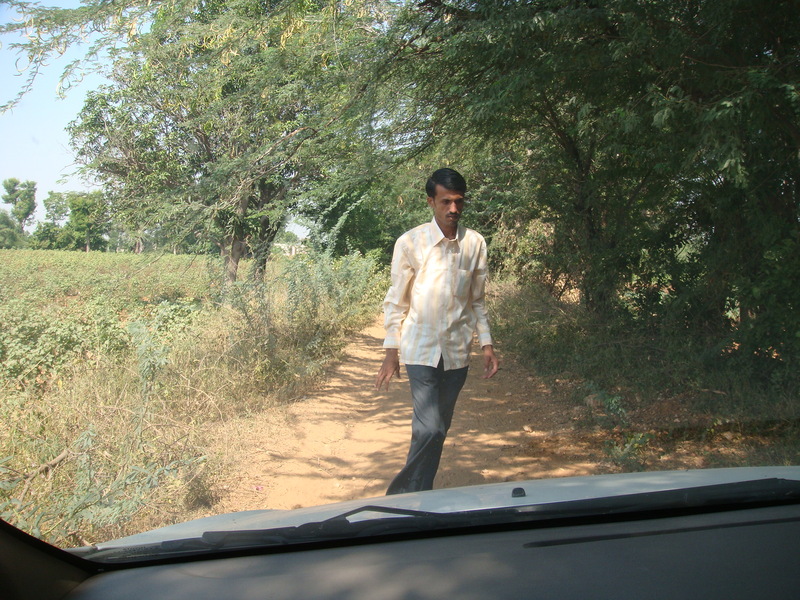 We then made our way to Munsiwada village, deep into the tribal heartland in Sabarkantha district, to meet Ramaji Vaid, who uses traditional herbs to heal all those who come to him from far near, man or beast. We left the high-speed fourlane highway for two lane state highway, which soon shrunk to thin ribbon of metalled road and eventually there was none. The last 2 kms to Ramaji Vaid is dirt track, and our convoy of Innovas bumped, rolled, groaned and finally, literally, scraped through to reach Ramaji’s village. Ramaji welcomed us into his home, where his patients throng the long, colourful, verandah skirting his thatched mudhouse. Ramaji patiently answers our questions, tells us how he picked up the knowledge of herbs from his father and careful observation of life around him. He tells us that his healing is not limited to human beings and domesticated animals but he has also found out herbal pesticides that are far less harmful than chemical ones but as effective. Ramaji’s ‘laboratory’ is basic: chopper, knife, mortar and pestle, an electric grinder (all of Gujarat’s 18,000 villages have power practically 24×7, something even no metro city in India can boast of), open flame oven. On our way back from Munsiwada, we take a wrong turn and loose our way in rural hinterland. 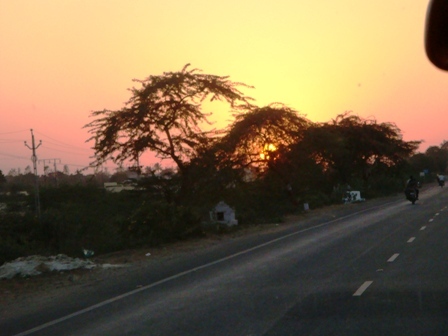 But eventually we make it back to the highway and make sharp dash for Ahmedabad. The next event, the ‘Question Time’ with IIM-A students on Social Justice and Inclusive Growth’ is on from 9 pm (legend has it that IIM students sleep less than 4 hours a day on average during their gruelling 2 year course, preparing them for lifestyle to justify their 6 figure monthly salaries in the days ahead). 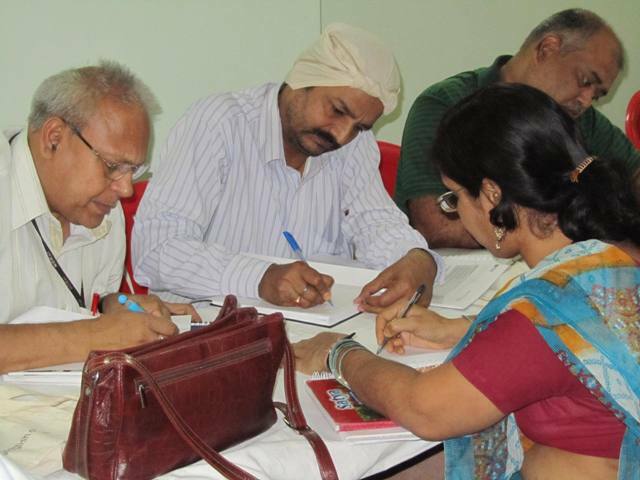 Posted in International Social Justice Network and tagged Ahmedabad, British Council, British Council India, IIM, Justice, Social on October 27, 2009 by dcfrombc. 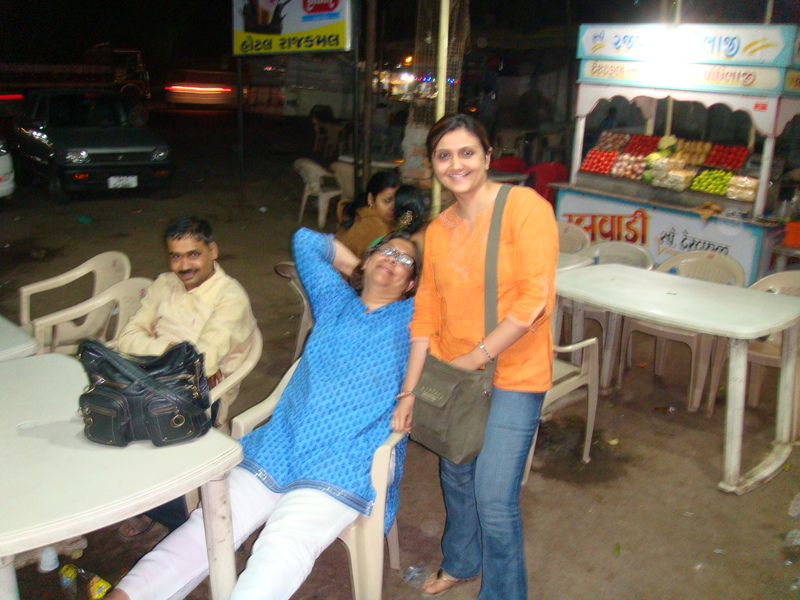 Sujata, Sanjay and I arrived in Ahmedabad day before yesterday, yet it seems as if we’ve been here for ages. 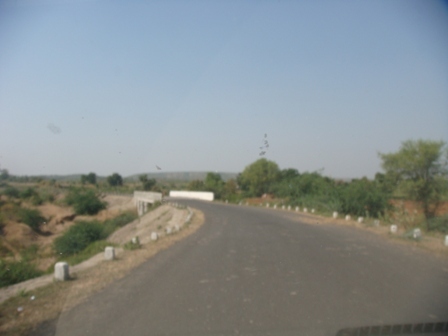 For one, accompanied by Priti Vaishnavi of IIMA and Ramesh Patel of SRISTI, we have covered close to a thousand miles on the road, recce-ing the places colloquium delegates are likely to visit as part of their field trips. And even as I prepare to upload the blog, delegates are getting ready to hit the road. 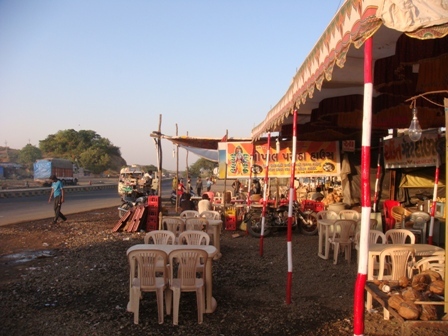 Here are a couple of glimpses of what life on Indian highways look like. In the evening, when we return today from the field trips, several of our delegates take part in a Question Time style event with the IIMA students on the topic of Social Justice and Inclusive Growth. I believe sparks will fly. 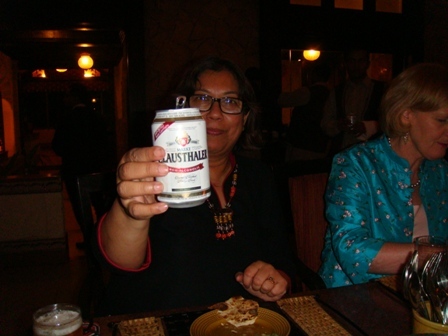 Before I sign off, I cannot resist uploading this picture of Sujata eventually falling to the guiles of the non-alcoholic beer. When in Rome, do as Romans do! 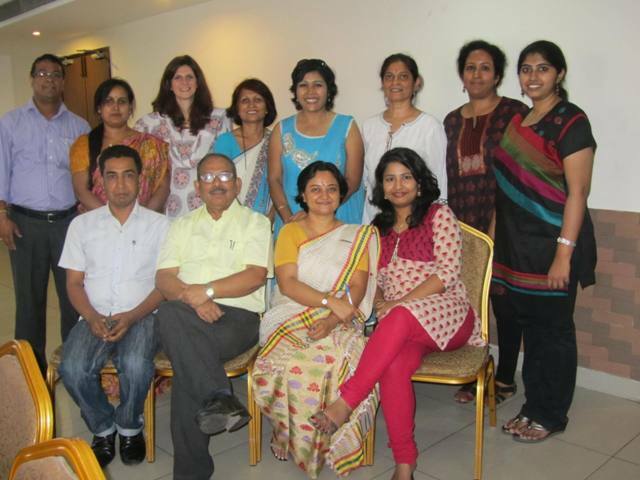 Posted in International Social Justice Network and tagged Ahmedabad, Brazil, British Council, British Council India, China, Health care, IIM, India, Justice, Livelihood, Mahatma Gandhi, Mexico, Primary education, Right based work, Social, South Africa, UK on October 23, 2009 by dcfrombc. The First Colloquium of the International Social Justice Network (ISJN) sets its scene at the Indian Institute of Management in Ahmedabad (IIM – A), India, from 27 to 29 October. Part of British Council India’s Intercultural Dialogue programme, the colloquium hopes to establish the first international network of policy makers working in the area of social justice and equity in the middle income economies (India, China, Brazil, Mexico and South Africa) and the UK, and facilitate South-North learning on critical issues such as education, livelihood, shelter, healthcare and civil rights. Our partners, the IIM – A, is particularly apt as hosts for the colloquium. It is, without doubt, India’s premier business school and amongst the world’s best. The co-convener of the ISJN colloquium is the remarkable Prof Anil Gupta, who leads a team of students and researchers in documenting innovation, ideas and entrepreneurship in rural India. The best and brightest usually sign up for Prof Gupta’s courses and usually accompany the iconic professor on his ‘shodhyatras’ – long treks that cover hundreds of miles in rural India. A business survey carried out sometime back said that over 50% of India’s CEO’s are IIM-A alumni. It is difficult to imagine better grooming ground of future corporate leaders. The architecture of the IIM-A campus is stunning. Created by Louis Kahn, Balakrishna Doshi and Anant Raje, the exposed brickwork buildings with huge arches and open spaces give the 60 acre original campus a timeless, monumental look. This youtube clip captures a touching conversation between Kahn’s son Nathaniel and Balakrishna Doshi, part of Nataniel Kahn’s Oscar-nominated documentary My Architect: a Son’s Journey (2003). 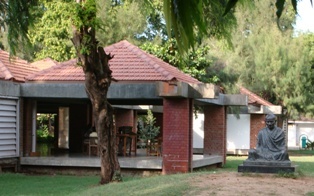 The city of Ahmedabad has strong connections with Mahatma Gandhi, and much of his legacy is preserved at the Sabarmati Ashram. This makes Ahmedabad a fortuitous choice for the ISJN colloquium. On our recent visit a few weeks back, Sujata, Sanjay and I dropped in at the Ashram, a tranquil heart in the middle of a bustling city. Schoolchildren bussed in from various parts of the state trooped around in relative silence, flakes of hushed conversation in various languages, Indian and foreign, swirled around and settled almost as silently as snow. On the verandah of the house where the Mahatma lived from 1918 to 1930, sat an avuncular man, inviting visitors to try their hand at spinning the charkha, the wheel that spun a thousand revolutions in India under the Mahtama’s leadership. I gave it an honest try, though Sujata and Sanjay were clearly not impressed! After long discussions with Prof Gupta, and his students, Raju Mahana and Gautam Prateek on the programme and various aspects of managing the project, we were shown the colloquium venue by Mr Baskaran. The Blue Room, named after its famed blue carpet, now alas, replaced with standard beige, is a large hall, about 100 feet square, with plenty of natural light and all the accoutrements of an international conference room. 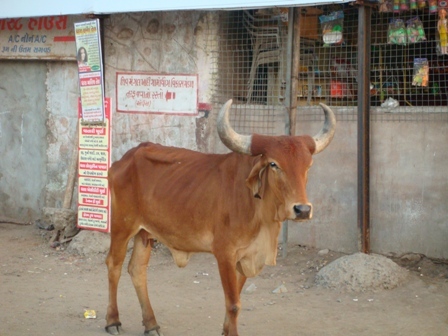 It is difficult to miss a certain innocence in Ahmedabad, however fragile it may be below the surface. Is it because there are ice-cream parlours where in other cityscapes thirsty eyes would seek out bars? Or could it be because we see in the Mahatma’s own backyard MontBlanc re-branding the messiah of anti-globalisation as a uber-cool khadi-clad fashion icon? There’s lots to talk about Ahmedabad. 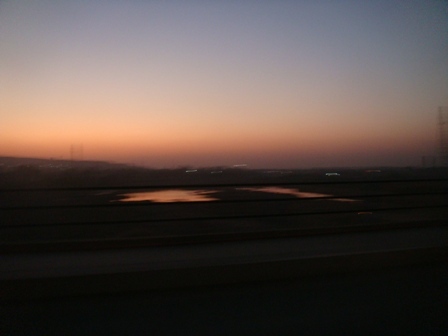 And there’s a lot to talk in Ahmedabad – our next post will be live from the ISJN Colloquium.